In deciding whether to open fire, the police officer made "the worst, worst decision that any officer ever wishes to have to make," the police chief said. 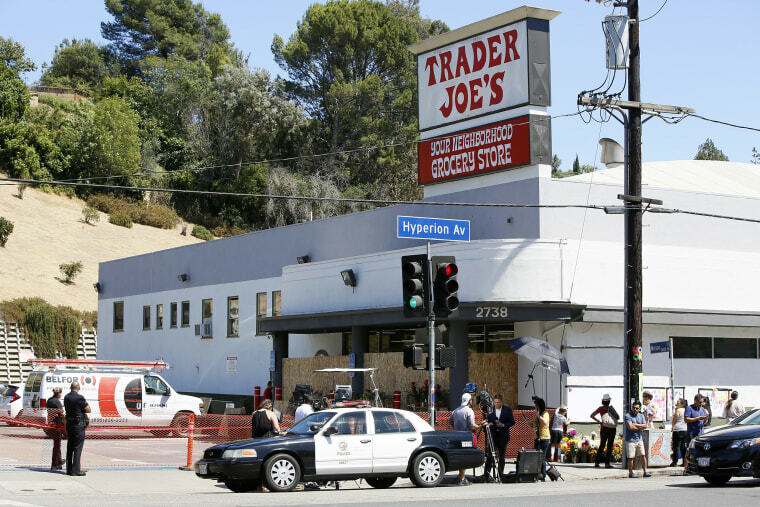 LOS ANGELES — A store worker killed in a gunbattle before a suspect took hostages in a crowded supermarket was hit by a police officer's bullet, Police Chief Michel Moore said Tuesday. The employee, Melyda Corado, 27, was leaving the store Saturday as the suspect, Gene Evin Atkins, 28, was going into the store after firing two rounds officers pursuing him, Moore told reporters. The two officers each fired back at Atkins and one of their rounds went through one of Corado's arms and into her body. "That is the worst, worst decision that any officer ever wishes to have to make," the chief said. About 15 minutes later he crashed into a utility pole outside a Trader Joe's market in the Silver Lake neighborhood, where the gunbattle erupted. Corado was fatally struck and Atkins was wounded in the arm.